E116 CREW ON ARRIVAL REPORTS HEAVY SMOKE COMING FROM A TWO-STORY ORDINARY. FIRE ON THE FIRST FLOOR IN SECTOR 3. ONE LINE ON THE MAIN FIRE BUILDING. REGARDING THE EXPOSURE BUILDING: FIRE IN THE SECOND FLOOR GOING TO THE ATTIC, 7117 S SANGAMON, 2 LINES ON THE EXPOSURE BUILDING FIRE. SEARCHES COMPLETE AND NEGATIVE AT BOTH BUILDINGS ON ALL FLOORS AT ABOUT 11:22 AM. SECONDARY SEARCHES COMPLETE, WASHDOWN, AND CHASING HOT SPOTS BY 11:26 AM. E35 CREW ON ARRIVAL REPORTS AND OVERTURNED VEHICLE. A43 ADMINISTERING PATIENT CARE BY ABOUT 5:23 AM -- APPARENTLY MINOR OR NO EXTRICATION. CREW ON ARRIVAL REPORTS SMOKE SHOWING FROM A TWO-STORY ORDINARY. LINE ON THE FIRE LADDERS GOING UP. TWO LINES ON THE FIRE IN A SECOND FLOOR APARTMENT OF A MIXED OCCUPANCY BUILDING. MAIN FIRE BUILDING WAS 4006 W JACKSON WITH COMMUNICATION TO 4002. BC2 ON ARRIVAL REPORTS A CAR UPSIDE DOWN ON THE NORTHBOUND. TWO VICTIMS CODE REDS REMOVED FROM THE OVERTURNED VEHICLE AT ABOUT 4:30 PM. A4 TRANSPORTED ONE CODE RED VICTIM TO NORTHWESTERN. A35 TRANSPORTED ONE CODE RED VICTIM TO COOK COUNTY STROGER. MABAS DIVISION BOX ALARM ON BOX #5-1620 FOR A STRUCTURE FIRE (HOUSE FIRE). MAP NOT PRECISE. PROLONGED ACTIVE NATURAL GAS LEAK WITH HIGH LEVELS IN AN APARTMENT BUILDING. COM ED CALLED TO SCENE TO CUT POWER FROM EXTERNAL LOCATION TO PREVENT IGNITION. NICOR TO THE SCENE TO WORK ON GAS LEAK. ACTIVE GAS LEAK PAST 5:30 PM. WARMING BUS FOR EVACUATED RESIDENTS. WINDS N 16 MPH AT 11:00 A.M. AND SHIFTED TO THE W AT 8 MPH AT 5:51 PM. THE INITIAL WEST WINDS FOR THE DAY WERE OBSERVED AT ABOUT 3:51 PM. A GAS ODOR WAS INVESTIGATED AT A SECOND LOCATION AT ABOUT 4:40 PM IN THE 1100 BLOCK OF DRIFTWOOD. FIREFIGHTERS WERE CHECKING GAS LEVELS AT THE SECOND BUILDING. THERE WAS NO WORD ON ANY EVACUATION OF THE SECOND BUILDING AS OF 6:00 P.M. CREW ON ARRIVAL REPORTS A MAN UNCONSCIOUS WITH HEAD TRAUMA IN A CONFINED SPACE INCIDENT.TRENCH RESCUE UNDERWAY. BC23 IN COMMAND. RETURNING COMPANIES AT 2:07 PM. VICTIM REGAINED CONSCIOUSNESS WHILE WITH FIREFIGHTERS. BC25 REPORTS GETTING A MAN OUT IN THE STOKES BASKET AND MONITORING LEVELS IN THE HOLE. MAN REMOVED FROM THE CONFINED SPACE AT ABOUT 2:35 PM AND TRANSPORTED TO NORTHWESTERN MEMORIAL HOSPITAL. 5-1-5 HELD UP, THEN TOLD TO RESPOND AGAIN. REPORT OF SMOKE COMING FROM THE ATTIC. FIRST POLICE ON SCENE REPORT A LOT SMOKE COMING FROM THE STRUCTURE -- BC28 UPGRADES TO A CODE 4. BC28 ON ARRIVAL REPORTS HEAVY SMOKE SHOWING FROM THE ROOF. DEFENSIVE OPERATION AT 9:43 PM. T18 AERIAL UP. GOOD KNOCK ON THE FIRE AT 10:07 PM. ADDRESS WAS CORRECTED TO 910 NUMERIC AFTER INITIAL ADDRESS WAS REPORTED AS 924 PINE TREE -- POSSIBLY A CALLER ADDRESS, NOT CONFIRMED. House fire with a lot of low-lying smoke on Pine Tree Ln in Winnetka -- reported about 9:04 PM (VIDEO CREDIT: Larry Shapiro). The home, which was destroyed, was listed for sale by Winnetka-based realtor The Hudson Company for $800,000, according to the realtor's website. CREW ON ARRIVAL REPORTS "LOOKS LIKE WE HAVE FIRE IN THE ATTIC." BC19 IN COMMAND. FIRE THROUGH THE ROOF. DEFENSIVE MODE AT 5:40 AM. GOING BACK IN WITH HANDLINES AT ABOUT 6:05 AM. STILL AND BOX ALARM AT 05:22 AM ON ORDERS OF BC19. TENDER(S): NORTHWEST, LEAF RIVER, ROCK CITY, ROCKTON, DURAND, WEST SUBURBAN, SHANNON? REPORT THAT A MAN WAS ABOUT 300 FEET SOUTH OF THE CHICAGO YACHT CLUB AND ABOUT 150 YARDS OUT. BC1 IN COMMAND. THE MALE SUBJECT, AGE 23, MADE HIS WAY SAFELY TO SHORE BY ABOUT 4:30 PM AND WAS IN POLICE CUSTODY/CONTACT. AIR/SEA RESCUE HELICOPTER 6-8-1 HELD UP. REPORT OF A BASEMENT FIRE IN UNIT B BC3 ON ARRIVAL REPORTS LIGHT SMOKE SHOWING. POSSIBLE LANGUAGE BARRER ... ACTUALLY OVEN BROILER FIRE ON THE FIRST FLOOR CONTAINED TO THE OVEN. HEAVY SMOKE CONDITIONS, BUT FIRE CONTAINED TO THE OVEN AND UNDER CONTROL. BC7 IN COMMAND. FOR A FUEL SPILL. E4 CREW ON ARRIVAL REPORTS SMOKE SHOWING. BC3 IN COMMAND REPORTS A 3-STORY 75X30 LIGHT WEIGHT WITH SMOKE SHOWING. FIRE ON THE THIRD FLOOR WITH TWO MAINS TO THE ROOF. UNUSUAL ARCHITECTURE TOWNHOUSE WITH STONE FACADE AND SLANTED ROOF. ATTIC BEING VENTED. A2 TO SECTOR 1. ONE MAN FOUND DEAD. NO FOUL PLAY INDICATED AT THIS TIME. UPDATE, THREE KILLED: COUPLE AND ADULT SON FOUND DEAD. THE ADULT SON WAS FOUND DEAD IN AN SUV, WHICH WAS TOWED AWAY. MABAS DIVISION 21 BOX ALARM ON BOX #11 FOR A STRUCTURE FIRE (HOUSE FIRE). RANCH HOME WELL-INVOLVED WITH FIRE THROUGH THE ROOF ON ARRIVAL. FROZEN HYDRANT/WATER SUPPLY PROBLEMS. AIR TEMPERATURE 1 DEGREE (WIND CHILL -15/WIND W 10 MPH) AT TIME OF FIRE. INITIALLY, TWO PEOPLE WERE CONFIRMED KILLED IN THE HOUSE FIRE. E57 ON ARRIVAL ORDERS AN EMS PLAN 1 FOR A TRAFFIC ACCIDENT. BC12 IN COMMAND. BC12 REPORTS TRIAGE -- ALL VICTIMS APPEAR TO BE CODE YELLOW. EMS: A83, A81, A3 ARE TRANSPORT AMBULANCES. REPORT OF A CRASH ON SB ROUTE 53 AT PALATINE RD, BUT CRASH INVOLVED VEHICLE THAT FELL OFF SB LANES OF ROUTE 53 BRIDGE ONTO WB PALATINE RD, OR FELL DOWN EMBANKMENT FROM SB ROUTE 53 ONTO WB PALATINE ROAD. ONE FEMALE DRIVER TRAPPED IN SEDAN ON ITS ROOF. EXTRICATION OPERATION. VEHICLE STABILIZED. ONE HOSE LINE ON STANDBY. VICTIM EXTRICATED BY 10:11 PM AND TRANSPORTED TO NORTHWEST COMMUNITY HOSPITAL. SEARCHES FOR ANY POSSIBLE EJECTED VICTIMS WAS NEGATIVE. VIDEO: ROLLOVER EXTRICATION CRASH ON WESTBOUND PALATINE RD NEAR ROUTE 53. ENGINES NOT CONFIRMED -- DISPATCHER LISTED DIFFERENT ENGINES ON REPEAT. STRUCK OUT AT 6:35 AM ON ORDERS OF FOREST PARK 460. MABAS DIVISION 24 FULL STIL ALARM ON BOX #602 FOR A STRUCTURE FIRE (HOUSE FIRE). CREW ON ARRIVAL REPORTS A FIRE. BC13 REPORTS AN APARTMENT FIRE ON THIRD FLOOR, 3-STORY COURTYARD, 70X200. ONE LINE LED OUT, MAIN TO THE ROOF, SEARCHES UNDERWAY. HUMAN SERVICE FOR 2 ADULTS AND 4 CHILDREN. SEARCHES NEGATIVE. HIT-AND-RUN DAMAGE TO TL14 WHILE AT THE FIRE SCENE REPORTED AT ABOUT 7:25 PM. SQD2 CV271 HELD UP AT 6:35 PM. EMS: A15 FC4-5-4 STANDBY AMB? POLICE ON SCENE REPORT A FULLY-INVOLVED VAN ON FIRE. BC3 RESPONDS TO SMELL OF SMOKE IN THE AREA ON SCHOOL ST FIVE BLOCKS EAST. WIND W 15 MPH. FIRE INVESTIGATOR CALLED TO THE SCENE. CALLER REPORTS FLAMES FROM THE BACK DOOR OF THE CONDO GOING TO THE ROOF. MABAS DIVISION 5 BOX ALARM ON BOX #5-342 FOR AN APARTMENT FIRE. HUNTLEY TRUCK TO THE ROOF. UP-N INBOUND AND OUTBOUND TRAINS STOPPED. HOUSE FIRE NEAR 155TH AND WESTERN AVE.
RIVERDALE ENGINE CHANGE OF QUARTERS. REPORT OF AN ATTACHED GARAGE ON FIRE. POLICE REPORT A LARGE AMOUNT OF FIRE SHOWING. E39 CREW ON ARRIVAL REPORTS A FULLY-INVOLVED GARAGE FIRE WITH THREE CARS ON THE DRIVEWAY, PULLING A 2.5 INCH LINE. REPORT THAT ALL RESIDENTS ARE OUT OF THE HOUSE. FIRE UNDER CONTROL AT ABOUT 2:30 AM. PRIMARY AND SECONDARY SEARCHES COMPLETE AT 3:07 AM. E126 CREW ON ARRIVAL REPORTS A FIRE IN A TWO-STORY ORDINARY WITH STORES DOWNSTAIRS AND RESIDENTIAL UP FRONT. BC23 IN COMMAND REPORTS A TWO-STORY ORDINARY, 50X75, WITH ONE LINE ON THE FIRE . TWO MAINS TO THE ROOF. PROBLEM WITH FROZEN HYDRANTS. E72 IS FEEDING E126, "WE HAVE A POSITIVE SOURCE OF WATER." FIRE WAS ON THE FIRST FLOOR. TWO MAINS BACK UP AT 8:45 AM FOR A RE-KINDLE. MEDIC31, E31 ON ON ARRIVAL REPORT A CAR ON ITS ROOF. ALL VICTIMS OUT OF THE CAR BY 9:01 AM. ACTIVATED FIRE ALARM AT 1457 ADDRESS, THEN REPORT OF FIRE AND SMOKE SHOWING FROM POLICE AT 1453 ADDRESS. E82 CREW ON ARRIVAL REPORTS FLAMES, HEAVY FIRE, HEAVY SMOKE. EXTERIOR ATTACK KNOCKS FIRE. E82 OFF WITH A LINE HITTING THE GARDEN APARTMENT FIRE FROM THE EXTERIOR. POLICE RECEIVED A REPORT OF POSSIBLE VICTIMS UNACCOUNTED FOR. ALL SEARCHES NEGATIVE. MAIN FIRE KNOCKED FROM EXTERIOR BY 8:25 AM. CHECKING FOR EXTENSION TO SECOND FLOOR UNIT AND ATTIC -- NO EXTENSION. FIRE OUT BY 8:35 AM -- CHASING HOT SPOTS. CREW ON ARRIVAL REPORTS A 2.5-STORY FRAME WITH A FIRE IN THE REAR (HOUSE FIRE 25X45). BC4 REQUESTS AN AMBULANCE TO SECTOR 1 (A19) AND REPORTS AN EXPLOSION ON THE SECOND FLOOR -- LOOKS LIKA A NATURAL GAS EXPLOSION AT ABOUT 5:15 AM. THREE PEOPLE INJURED -- TWO SERIOUSLY INJURED. WALLS BLOWN OUT ON THE SECOND FLOOR. TWO LINES ON THE FIRE. ANOTHER AMBULANCE TO SECTOR 1 (A45) AT 5:17 AM. WALLS BLOWN OUT IN SECTOR 2. EXTERIOR ATTACK, NO SEARCHES, NO CREWS ON THE ROOF. SQD1 COME IN FROM WEST TO USE BASKET. 3 LINES ON THE FIRE -- ALL OCCUPANTS ACCOUNTED FOR AT 5:26 AM. FIRE MOSTLY OUT AB 5:38 AM. MINIMAL INTERIOR ATTACK FOR HOT SPOTS. GAS SHUT OFF. TL5 FINISHES THE WASH DOWN AT 6:25 AM. EMS PLAN1 AT 5:18 AM. CREW ON ARRIVAL REPORTS THEY HAVE A FIRE. BC23 IN COMMAND REPORTS A VACANT TWO-STORY WITH A FIRE IN THE BASEMENT. BC23 REPORTS TWO LINES ON THE FIRE. SEARCHES UNDERWAY. PERSONAL INJURY CRASH. MODERATE DAMAGE. T-BONE CRASH IN THE INTERSECTION. REPORT OF A COM ED VAULT SMOKING. LEVEL ONE HAZMAT SECURED AT 5:12 PM. RESPONDING TO A REPORT OF A WATER TOWER LEANING. TL10 REPORTS WATER TOWER VISUALLY LOOKS LIKE IT'S ABOUT TO COLLAPSE. BC3 REPORTS WATER TOWER IS LEAKING WATER AND SPILLING ICE. NEED POLICE FOR TRAFFIC CONTROL. WATER TOWER IS LEANING TO THE SOUTH -- TOWARD AN ALLEY. BUILDING OCCUPANTS WILL BE EVACUATED IN THE UPPER FLOORS OF THE AFFECTED BUILDING WITH THE WATER TOWER AND THE BUILDING TO THE SOUTH. A 5-STORY ORDINARY, 100X80 WITH THE LEANING WATER TOWER ON TOP. ADJACENT BUILDING A 5-STORY BUILDING, 100X100. BUILDINGS ARE SEPARATED BY A 15-FOOT ALLEY. BOTH BUILDINGS HAVE BEEN EVACUATED. Water tower leaking (VIDEO CREDIT: Thom Serafin). Water tower leaking -- interior view (VIDEO CREDIT: Thom Serafin). E46 CREW ON ARRIVAL REPORTS A 2.5-STORY FRAME WITH LIGHT SMOKE. (HOUSE FIRE). BC23 IN COMMAND REPORTS A 2.5-STORY FRAME WITH LIGHT SMOKE ON THE FIRST FLOOR. AT 6:24 AM BC23 REPORTS PRIMARY SEARCH COMPLETE WITH ONE MALE VICTIM KILLED IN THE FIRE -- NEED POLICE AND OFI ON THE SCENE. BODY CHARRED IN THE FIRE. UPDATE: Davy Easterling, 31, pronounced dead at 6:41 a.m. at the scene of the fire ... charred body found in bedroom with gunshot wound to throat and chest ... Easterling was a security guard for Chicago rapper Twista. RIT: BC17 T42 RIT COMPANIES HELD UP. E50 ON INVESTIGATION REPORTS A CONTRUCTION CREW RIPPED OPEN A GAS LINE THAT LOOKS LIKE A ONE-INCH LINE. SEVERED GAS LINE BC19 IN COMMAND. MULTIPLE-INJURY CRASH/EMS BOX ALARM "EMS PLAN 1"
MABAS DIVISION 19 BOX ALARM ON BOX #27-61 FOR TWO MULTI-VEHICLE CRASHES. TOTAL OF 15 PASSENGER VEHICLES AND THRE SEMI-TRAILER TRUCKS. NB I-57 IS NOT PASSABLE. FOG WAS LIKELY A FACTOR IN THIS CRASH. FOG WAS REPORTED IN THE AREA 4:00 PM TO 5:00 PM. STAGING: SOUTHBOUND I-57 AT REST AREA SOUTH OF MANHATTAN-MONEE RD. THREE LINES OUT -- TWO LINES ON THE INITIAL FIRE BUILDING AND ONE LINE ON AN EXPOSURE BUILDING. EXPOSURE FIRE IS KNOCKED AT ABOUT 5:19 PM. E82 CREW ON ARRIVAL REPORTS A 4-STORY COURTYARD BUILDING WITH A FIRE ON THE SECOND FLOOR. BC23 150 X 145 WITH A FIRE ON THE FIRST FLOOR WITH THE STAIRWELL BURNT OUT. ONCE MALE VICTIM, AGE 55, JUMPED AND SUFFERED INJURIES TO LEG AND BACK -- TRANSPORTED TO STROGER. ANOTHER MALE VICTIM, AGE 45, SUFFERED BURNS TO A FOOT AND HIS ABDOMEN -- TRANSPORTED TO JACKSON. HYDRANT AT THE REAR OF 83RD AND INGLSIDE. LINE TO THE SECOND FLOOR AND LINE TO THE THIRD FLOOR. AERIAL TO THE ROOF. PRIMARY SEARCH NEGATIVE AT 2:03 AM. MAIN BODY OF FIRE UNDER CONTROL AT ABOUT 2:06 AM. SEARCHES COMPLETE AT 2:11 AM. STRUCK OUT AT 2:11 AM ON ORDERS OF 2-2-6. E93 ON ARRIVAL REPORTS A LITTLE SMOKE COMING FROM A 1.5-STORY 25X40. BC22 ON ARRIVAL REPORTS 1-STORY FRAME WITH A FIRE IN A BATHROOM. BC22 IN COMMAND REPORTS SOME EXTENSION INTO THE ATTIC. E93 CREW TAKING A LINE TO THE ATTIC. E62 AT THE FIRST FLOOR. T27 MAIN TO THE ROOF, AND OPENING THE ROOF. SEARCHES COMPLETE AND NEGATIVE. T24 PUTTING UP A GROUND LADDER IN SECTOR 2. MULTIPLE-INJURY CRASH. EMS PLAN 1 ON ORDERS OF T36. THREE STILL TRAPPED AT 11:08 AM. BC13 IN COMMAND CALLING FOR SQD2 TO EXPEDITE. TWO-STORY FRAME BUILDING WITH HEAVY FIRE AND SMOKE IN SECTOR 4. BUILDING IS CLEAR OF RESIDENTS. CALL FOR UTILITIES. STATE FIRE MARSHAL CALLED TO THE SCENE. E112 ON THE SCENE REPORTS NOTHING SHOWING. BC5 ON ARRIVAL REPORTS PLUMBER SWEATING PIPES -- HAS A FIRE BEHIND THE WALLS. ARRIVAL REPORTS 2.5-STORY ORDINARY OCCUPIED 25X70. TWO LINES ON THE FIRE -- ONE ON FIRST AND ONE ON THE SECOND FLOOR. A6 TRANSPORTING ONE INJURED FIREFIGHTER CODE YELLOW TO ST JOSEPHS. EMS: A6 FC? STANDBY AMB? CREW ON ARRIVAL REPORTS BC23 IN COMMAND REPORTS ONE LINE ON THE FIRE, LADDER TO THE ROOF, POSITIVE SOURCE OF WATER. TWO LINES ON THE FIRE. KNOCK ON THE FIRE AT ABOUT 4:55 PM. EMS: AMB ? FC? STANDBY AMB? TANKER TRUCK CONTAINING METHANOL ROLLED OVER. BC10 ON ARRIVAL REPORTS A 3-STORY SCHOOL BUILDING WITH NOTHING SHOWING ON ARRIVAL. STUDENTS EVACUATED. BC10 IN COMMAND REPORTS 3 STUDENTS BURNED IN A CHEM LAB EXPLOSION -- ORDERS A LEVEL 1 HAZMAT AND AN EMS PLANT 1 ADDED TO THE STILL AND BOX AT 10:46 AM. NO FIRE AFTER THE EXPLOSION. E43 CREW ON ARRIVAL REPORTS A LITTLE FIRE IN THE REAR, FIRST FLOOR. BC12 IN COMMAND REPORTS A 3-STORY ORDINARY WITH A FIRE ON THE FIRST FLOOR. A3 TO SECTOR 1 FOR A VICTIM WITH MINOR SMOKE INHALATION. FIRE UNDER CONTROL AT ABOUT 5:11 AM. EMS: A3 FC STANDBY AMB? REPORT OF AN AMMONIA LEAK AT KRAFT. HAZMAT INCIDENT WITH ADVISOR RESPONSE. MABAS DIVISION 24 FULL STILL ALARM ON BOX #20-01 FOR A FIRE AT OR NEAR THE MARINA. THE ADDRESS WAS ALSO EXPRESSED AS 140144 CROISSANT DR -- POSSIBLY IN ERROR. UNDERGROUND COM ED VAULT FIRE. SQD1 ON SCENE. BC1 IN COMMAND REPORTS A CORRECTED ADDRESS OF 303 WEST MADISON ST. PERIMETER IS BEING ESTABLISHED AROUND THIS HAZARD. PEDESTRIAN AND VEHICLE TRAFFIC ON MADISON STREET WAS BLOCKED BETWEEN FRANKLIN STREET AND WACKER DRIVE. SQD1 AND 5-1-1 METERED SURROUNDING AREAS FOR HAZARDS AND USED THERMAL IMAGE CAMERAS TO CHECK AREA BASEMENTS AND VAULTS FOR FIRE AND HEAT. LEVEL 1 HAZMAT SECURED AT 6:30 PM. EXTRICATION CRASH ON INTERSTATE 80 WEST OF MM 122 NEAR THE CURVE JUST NORTH OF MINOOKA RD. TROY SQUAD, CHANNAHON SQUAD MUTUAL AID. MABAS DIVISION 16 BOX ALARM (TENDERS ONLY) ON BOX #1040 FOR A STRUCTURE FIRE (HOUSE FIRE) AT 2:44 PM. NO INJURIES REPORTED. POSITIVE WATER SUPPLY BY 2:58 PM. DEFENSIVE OPERATIONS WITH EXTERIOR FIRE ATTACK WITH UNSAFE ROOF, FIRE THROUGH THE FLOOR WITH PARTIAL FLOOR COLLAPSE INSIDE. STRUCK OUT TENDER BOX AT 2:58 PM DEFENSIVE OPERATIONS CONTINUE. RESPONDING TENDERS RETURNED. E28 CREW ON ARRIVAL REPORTS THEY HAVE A FIRE IN THE REAR OF A SINGLE FAMILY HOME. TWO LINES ON THE FIRE. SECOND LINE ON THE SECOND FLOOR. BC15 IN COMMAND REPORTS A 2.5-STORY, 25X60 WITH A FIRE IN SECTOR 3. POLICE ACTIVITY FOR A SHOOTING BETWEEN 31ST AND WENTWORTH AND 35TH AND WENTWORTH. REPORT OF MULTIPLE PEOPLE SHOT INVOLVING THE POLICE. REPORT OF THREE PEOPLE SHOT NEAR US CELLULAR FIELD. 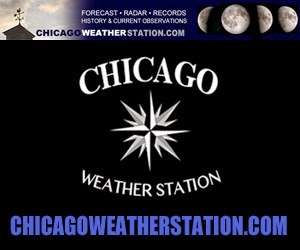 POLICE CHASE STOPPED AT GATE ENTRANCE TO "LOT A" AT US CELLULAR FIELD ON WENTWORTH, JUST NORTH OF 35TH ST.
OUTBOUND LOCAL LANES OF DAN RYAN BACKED UP FROM 35TH ST TO 15TH ST.
MABAS DIVISION 10 BOX ALARM ON BOX #(NOT AVAILABLE) FOR A STRUCTURE FIRE (HOUSE FIRE). CRASH WITH INJURIES. AT LEAST ONE PERSON INJURED. ISP REPORT ICING UP OF ROADWAY. SEMI-TRAILER TRUCK AND SUV REQUIRED TOW. TRUCK LOADED WITH PALLETS OF CITRONELLA CANDLES. CRASH WITH INJURIES; T36 REQUESTS TWO ALS AMBULANCES. ONE VICTIM CODE GREE, ONE VICTIM CODE YELLOW. CALLER IN A HIGH-RISE ON THE OTHER SIDE OF THE RIVER SAW SOME SMOKE. BC3 IN COMMAND AND ON ARRIVAL REPORTS A LITTLE LIGHT SMOKE. BC3 REPORTS A CONSTRUCTION CREW HIT A PROPANE TANK OR SOME TYPE OF TANK NEXT-DOOR. AN EXPLOSION BLEW WINDOWS IN A COUPLE OF BUILDINGS AND CAUSED A SMALL FIRE ON THE THIRD FLOOR. THE FIRE IS OUT. WORKING FIRE RESPONSE HELD UP. CHECKING ONE PERSON FOR INJURIES. CREW ON ARRIVAL REPORTS VEHICLE WITH MODERATE DAMAGE. CAR WITH FRONT-END DAMAGE AFTER CRASH WITH METRA TRAIN #623. NO CONFIRMED REPORT ON INJURIES, BUT INCIDENT APPEARS TO INVOLVE MINOR INJURIES OR NO INJURIES. SMALL BUSINESS JET SKIDDED OFF TAXIWAY AT DUPAGE AIRPORT WHILE PREPARING FOR TAKEOFF. POSSIBLE PILOT DISORIENTATION DURING WHITEOUT CONDITIONS. FIVE PASSENGERS, TWO CREWMEMBERS. NO INJURIES. NO DAMAGE TO AIRCRAFT. PASSENGER WERE TRANSFERRED BACK TO TERMINAL. REPORT OF SMOKE COMING FROM UNDERNEATH A SOUTHBOUND CTA TRAIN. CREW ON ARRIVAL REPORTS BC3 IN COMMAND REPORTS THE TRAIN IS NOT AT THE STATION, BUT IS POSSIBLY AT MILWAUKEE AND DES PLAINES. MALE PEDESTRIAN HIT BY VEHICLE IN PARKING LOT AT GROCERY STORE SUFFERING HEAD TRAUMA. TRANSPORTED TO LEVEL I TRAUMA CENTER ADVOCATE CONDELL MEDICAL CENTER, LIBERTYVILLE. PRONOUNCED DEAD AT 1:23 AM SUNDAY. VICTIM IDENTIFIED AS JOHN ROZANACKI, AGE 64. FIRST CREW ON ARRIVAL REPORTS MACING IN ROOM 203. ALL STUDENTS IN THE ROOM WERE MOVED DOWN TO THE LUNCH ROOM. BC2 IN COMMAND. TRANSPORTED FOR OBSERVATION: VICTIMS TRANSPORTED TO MERCY HOSPITAL AND MEDICAL CENTER, THE UNIVERSITY OF CHICAGO MEDICAL CENTER, THE UNIVERSITY OF ILLINOIS AT CHICAGO MEDICAL CENTER, ST. BERNARD HOSPITAL AND HEALTHCARE CENTER AND JOHN H. STROGER JR. HOSPITAL OF COOK COUNTY. ONE FEMALE STUDENT IS A SUSPECT IN CUSTODY. EMS PLAN 1 SECURED AT 12:15 PM ON ORDERS OF BC2. MABAS DIVISION 6 BOX ALARM ON BOX #40-FS FOR A LARGE HOUSE FIRE ON A CUL DE SAC. BOX ALARM 2ND LEVEL AT 9:31 PM. BC14 IN COMMAND REPORTS A TWO-STORY ORDINARY, 25X40 WITH REAR PORCHES FULLY-INVOLVED. EXPOSURE TO ANOTHER TWO-FLAT NEXT-DOOR WAS EXTERNAL FIRE ONLY. E88 ON ARRIVAL REQUESTS A LEVEL 1 HAZMAT. BC19 IN COMMAND AND ON ARRIVAL REPORTS A 2-STORY ORDINARY, 20X40 WITH A FIRE ON THE SECOND FLOOR. BC19 REPORTS FIRE LOOKS LIKE A ONE-ROOMER. ONE LINE ON THE FIRE AT 10:00 AM. ON ARRIVAL A27 REQUESTS AN EMS PLAN 1 AND A PIN-IN RESPONSE. BC20 IN COMMAND REPORTS FOUR VICTIMS -- TWO HAVE BEEN EXTRICATED BY ABOUT 8:40 AM. ONE-VEHICLE VS POLE ACCIDENT. THREE VICTIMS CODE RED, AND ONE VICTIM CODE YELLOW. ALL EXTRICATED BY 8:54 AM. STAGING AT 77TH AND PULASKI, BUT FIRST TWO AMBULANCES ARE TO REPORT TO SCENE. T31 CREW WORKING ON EXTRICATING THE LAST PASSENGER OUT OF VEHICLE. WORKING WITH RAM AND JAWS. CHARGED LINE ON STANDBY. EMS PLAN 1 SECURED AT 8:56AM ON ORDERS OF BC20. REPORT OF A FIRE IN THE GARAGE. BC5 REPORTS HEAVY SMOKE COMING FROM THE C-SIDE. CUTTING OPEN THE OVERHEAD GARAGE DOOR. TWO LINES ON THE GARAGE FIRE WHICH WAS ALSO IN THE GARAGE ATTIC. CHECKING FOR EXTENSION. FIRE IS STRUCK AT ABOUT 7:56 PM. MABAS DIVISION 20 BOX ALARM ON BOX #600 THEN #1501 FOR A TIRE STORE FIRE. BOWSTRING TRUSS ROOF WITH A WELL-INVOLVED BUILDING WITH INITIAL COLLAPSE OF DIVISION A BY 6:21 PM. A 4-11 alarm fire with multiple towers, multi-versals, and handlines on the fire building and exposure buildings next-door. ENGINE STRIKE TEAM AT 6:31 PM FROM MABAS DIVISION 3. FOAM TRUCK TASK FORCE FROM O'HARE INTERNATIONAL AIRPORT FROM DIVISION 9 -- CHICAGO FIRE DEPARTMENT. E116 CREW ON ARRIVAL REPORTS SMOKE SHOWING. BC 18 IN COMMAND. BC18 REPORTS LIGHT SMOKE -- LOOKING FOR THE SOURCE. WORKING FIRE RESPONSE HELDUP, FIRE LOOKS LIKE IT IS JUST ON THE INTERIOR. E109 CREW ON ARRIVAL REPORTS SMOKE SHOWING. BC14 IN COMMAND REPORTS A TWO-STORY ORDINARY, 25X40 WITH A FIRE ON THE FIRST FLOOR. ONE LINE LED OUT WATER ON THE FIRE, AERIAL TO THE ROOF. TWO LINES ON THE FIRE FOR A FIRE IN THE BASEMENT AND A FIRE ON THE FIRST FLOOR. ALL COMPANIES WORKING. ONE VICTIM RESCUED FROM A REAR BEDROOM ON THE FIRST FLOOR WITH A33 EVALUATING/TREATING THE VICTIM. REST OF SEARCH NEGATIVE. A19 THIRD AMBULANCE. EMS: A33 A34 A19 THIRD AMBULANCE. REPORT OF LARGE FLAMES SHOWING. REPORT OF AN AMBULANCE ON SCENE WITH HEAVY BLACK SMOKE VISIBLE. CREW ON ARRIVAL REPORTS THEY HAVE A FIRE AT 7:59 PM. 50X50 WITH A FIRE ON ONE AND TWO. JAANTWIAON EDWARDS, AGE 3, TRANSPORTED TO LORETTO HOSPITAL WHERE HE WAS PRONOUNCED DEAD AT 9:34 PM. SECOND CHILD TRANSPORT TO LOCAL HOSPITAL -- IN CRITICAL CONDITION. FEMALE, AGE 50S TO 60S, TRANSPORTED TO WEST SUBURBAN MEDICAL CENTER -- IN CRITICAL CONDITION. POLICE OFFICER , AGE 40, TRANSPORTED TO LOCAL HOSPITAL WITH SMOKE INHALATION -- IN FAIR-TO-SERIOUS CONDITION. 2-11 STRUCK OUT AT 8:30 PM ON ORDERS OF 2-2-1.